YouTube's own upfront shows how it can complement TV and offer creative opportunities for agencies, Mark Howe writes. Ringmasters and razz­matazz. That was the recipe for TV upfronts (a showcase of the new season’s programme highlights) back in the day. When I used to work in television, we would troop to Bafta in Piccadilly and sales impresarios from regional broadcasters such as LWT, Thames and Granada would unveil the glittering gems in their forthcoming schedules – often seen as The Ron Miller & Harry Turner Show. Nowadays, broadcasters lean more heavily on TV celebrities to add fizz to these seasonal showcases, but the aim is the same – generate excitement about the medium, help brands plan their campaigns and warm up the audience in preparation for the trading battles to come. However, TV now has a younger sibling in the form of online video, which is stealing the spotlight. The rise of smartphone ownership and roll-out of 4G mean online video consumption is soaring – the number of people watching YouTube per day is up 40 per cent year on year since March 2014. They are searching for information, inspiration and entertainment on the go, at their desks or at home. To be clear: online video is complementary to TV, not a replacement. But brands can work with online video to extend their reach to those who don’t watch much TV. In many ways, online video is a continuation of the trend first set by Channel 4 and Sky, which both boasted of helping clients reach light ITV viewers and niche audiences when they debuted. Now, YouTube is the home of passions. It has content to please the pickiest people – including those who don’t watch much TV – and its own celebrities who are redefining what popularity means. In the UK, more young people would rather become a professional vlogger (40 per cent of 16- to 25-year-olds) than a reality TV star (6 per cent) or work in industries such as law or politics (34 per cent). 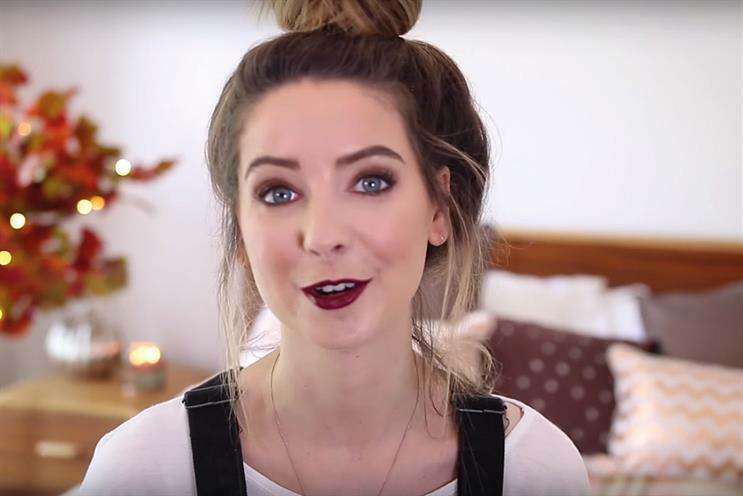 Vloggers such as Zoella or PewDiePie not only have loyal fans who tune in regularly but their audiences are rivalling TV’s most popular shows such as The X Factor. Reach is not the only advantage of online video. Digitally measured viewing figures are verifiable and advertisers can work with a mass of contextual and demographic data. Insights from the data can help planners grapple with the complexities of the modern customer journey. We can understand what is interesting a YouTube user at a precise moment in time, thanks to the signals sent by their search behaviour. This data, combined with technology, means brands can serve consumers carefully crafted and relevant messages during the moments that matter to them. Add all these together and it should be no surprise that we feel digital video deserves its own upfront. Just like the old days, our "Brandcast" extravaganza this month will have showbiz stardust aplenty but with a modern-day slant – a clear justification of why YouTube should be on every media plan. I’ll sign off with a challenge to the media community. Online video offers a chance to think differently about how you engage with audiences in important moments, so show us how you can use the unique scope of YouTube to deliver spectacular creative ideas.